For the past 5 years, I have been photographing Hollie and her amazing kids (well, Bryden isn't a kid anymore!) Let me tell ya, it never gets old! I absolutely love seeing little M get sassier each year. 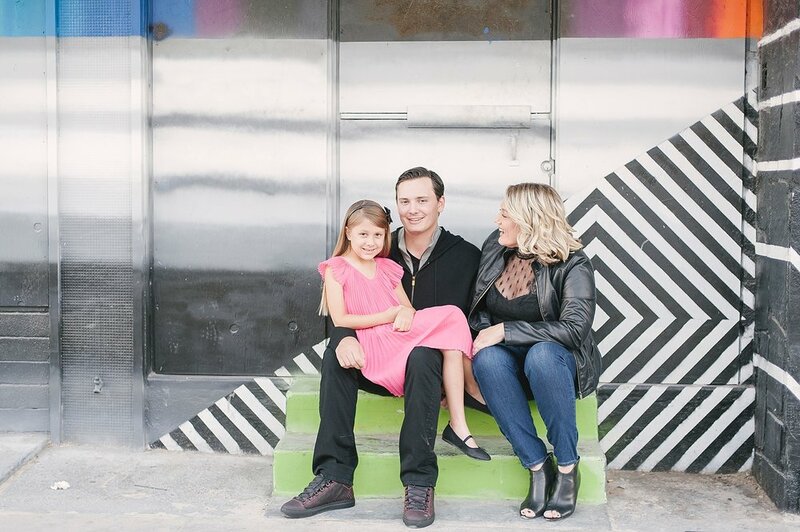 This year, Hollie wanted to capture a bit more of an urban vibe, so we chose the colorful walls of downtown Las Vegas for our backdrop. 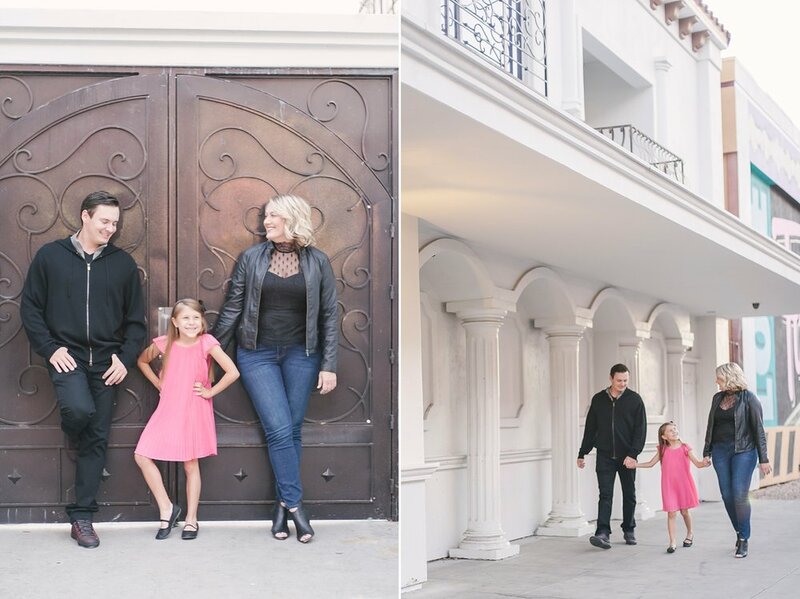 I think the family's outfit choices of black with the pop of pink went really well with the overall look Hollie was going for and I can't wait to see how she uses these for her new gallery wall! Yearly family photos are such a beautiful tradition. Not only do you get fresh new photos for holiday cards, but they are a such a fun way to wrap up the year! These photos will be cherished throughout the years and serve as visual reminders to your memories. Hollie: thanks again for letting me share in this tradition with you and your family! Love ya!